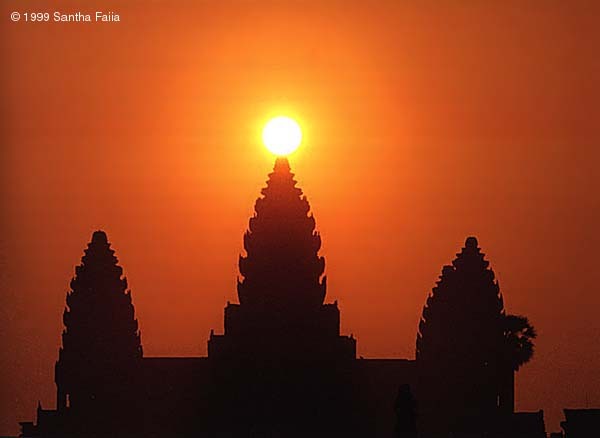 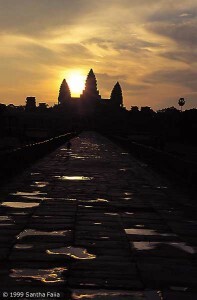 The sun rising over the central tower of Angkor Wat at dawn on the spring equinox. 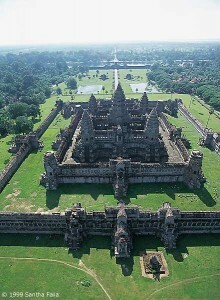 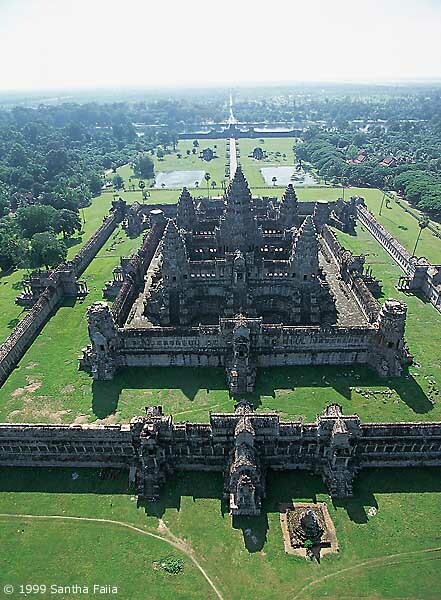 The 'pyramid' of Angkor Wat, with its five lofty towers. 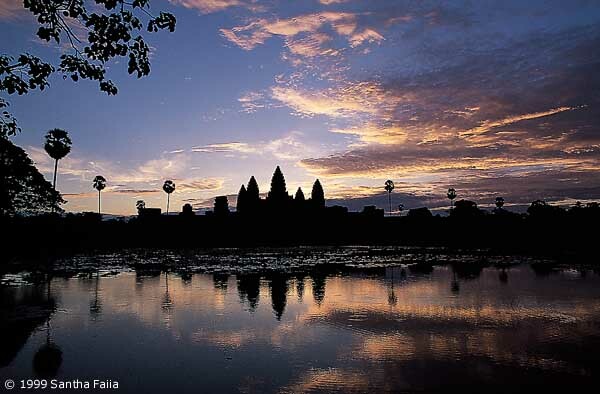 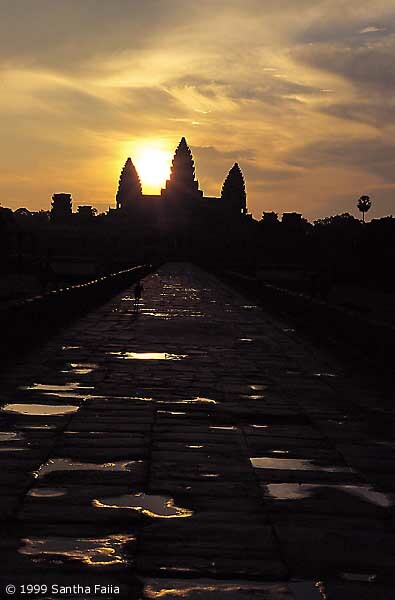 Entrance causeway and central towers of Angkor Wat, at sunrise, two days before the autumn equinox. 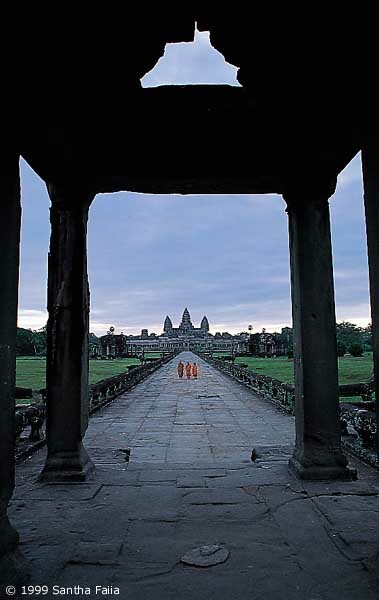 Angkor wat: the megalithic causeway viewed from inside the western entrance gate looking towards the temple.